It is a long walk from our home in Kansai to the region of the Matsumoto Castle. Takamatsu and I been there in the past, but in recent weeks we’ve spent our time close to home. Our home within the hanamachi at Kansai is safe, as are the roads that lead to the markets of Hosoi Ichiba. However, as you make your way along the road near the fishing village, and through the mountain pass you come upon the overlook of the Chubu valley. And you become aware that there is a reason for the presence of the great castle. 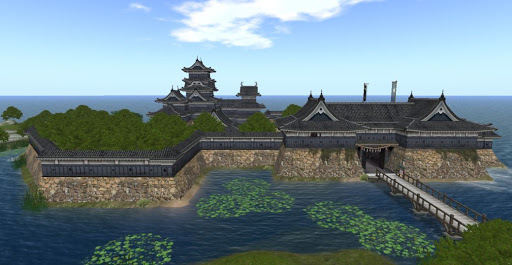 Taka and I have spent so little time near the castle, I decided that it might be enjoyable to walk to the region and explore some while my husband was tending to his business. So, one fine bright morning I walked to Chubu with the intention of exploring the castle. I walked first to the tournament center where we had seen the martial arts exhibition only a couple weeks before. Seemingly out of nowhere I was approached by the samurai patrol as I loitered near at the entrance to the dojo and tournament arena. The presence of a horse mounted samurai patrol was a bit unsettling to me. I had seen the lead samurai, Nyoma Oanomochi before in the tournament only weeks earlier. In fact, Nyoma san was the winner of that tournament and his fighting was frightening to watch. I had mixed emotions about the presence of this patrol, but glad to see them because earlier I had seen suspicious people in the region. I mentioned this to the patrol and they took interest. After a brief chat with the patrol, I decided to return to the safety of Kansai. This was the first time I had ventured this far from our home alone, and my encounter with the patrol caused me to realize there is danger in this region. When I am with my husband, I rarely sense danger but now I focused on Taka’s teachings for times when he is not with me. 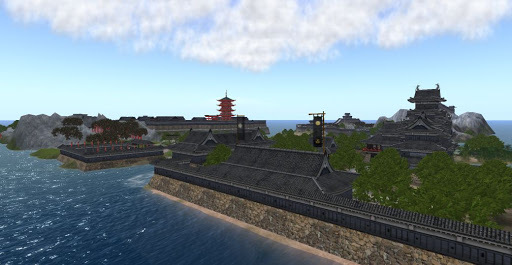 In the sunlight, the Matsumoto Castle’s giant structure stands tall in the Sun. The castle is protected on all sides by water and from the ocean, the castle is formidable to even great warships. 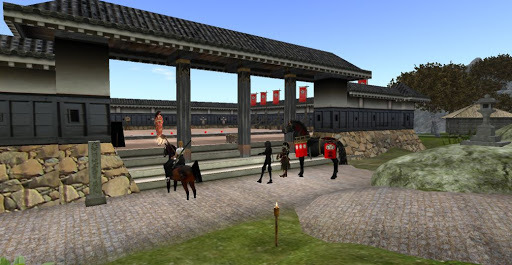 A week earlier Takamatsu and I had come to the Castle to seek an audience with those in charge, but at that time residents of the castle weren’t there. On the day we visited there was limited access, so we simply spent some of our time sitting at the marital arts arena inside. That may sound odd but the castle had a group of delightful hosts to greet us. 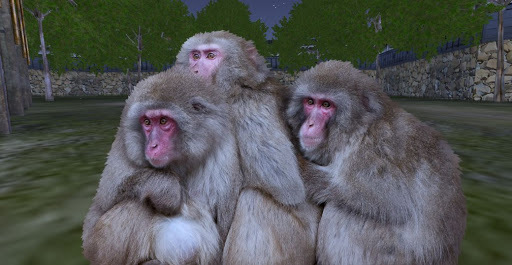 The hosts of Matsumoto Castle. My honorable husband found his personal host especially amusing and the two sat together, occasionally exchanging glances. Fortunately, I bought cookies from the Ramenshop in town and we fed our curious, hungry new friends. Taka and I explored as much of the castle as we were allowed to, but I also used the special eye to observe things that others might not see. Toward evening we had some tea in on of the entertainment rooms, then we stood on the balcony for a short time before heading home. We used the balcony to observe the castle and it’s grounds before heading home. Each day Takamatsu and I meet new people and learn more about this land. We still have much to learn, but we are considering opening a business in the town where we live. My old friend Masumi and my imouto Akiko have introduced us to many important people. 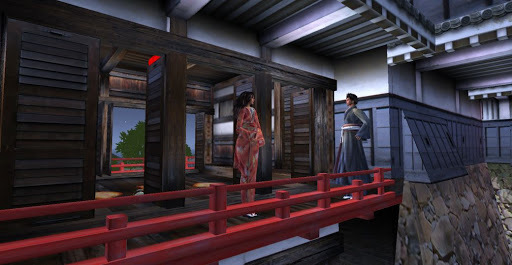 Our experiences with the samurai of the region have been very cautious.